Designed with both the user and spotter in mind, built tough with the latest innovations and priced affordably enough to fit your budget. Extremely comfortable spotting belt is padded with 1/2" neoprene and covered with long-wearing nylon. 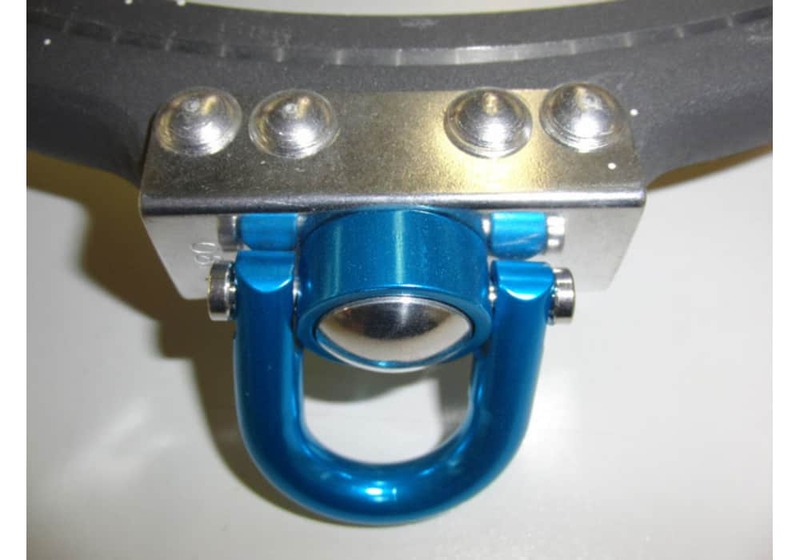 Three different ring diameters ensure that all sizes of users are comfortable and secure as well as properly aligned and oriented when using this piece of gymnastics spotting equipment. 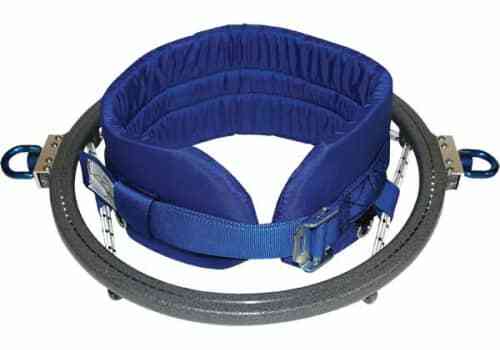 Rotator twisting belts are designed for gymnastics spotting use only, and should never be used to suspend users longer than a few seconds at a time. Not appropriate for acrobatic use or static suspension! Our Rotator twisting belt was designed with both the user and spotter in mind, built tough with the latest innovations and priced affordably enough to fit your budget. Three different ring diameters ensure that all sizes of users are comfortable and secure as well as properly aligned and oriented when using this piece of gymnastics spotting equipment. 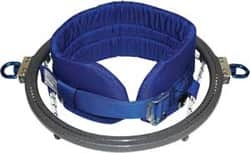 Rotator twisting belts are designed for gymnastics spotting use only, and should never be used to suspend users longer than a few seconds at a time. Not appropriate for acrobatic use or static suspension!. USING AN INCORRECTLY SIZED TWISTING BELT IS DANGEROUS. 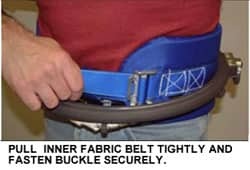 Regardless of gymnast's waist, size the twisting belt ring must fit over user's hips. If gymnast cannot slide the ring over his/her hips, it is the wrong size and should never be used. 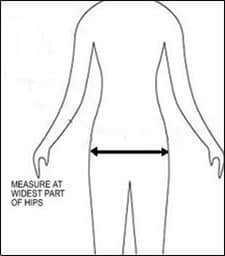 To determine correct size, measure hip width at the widest point (see diagram). DO NOT MEASURE WAIST! 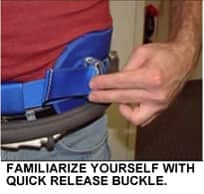 Please refer to ring diameter measurements shown below, and pick the smallest one that fill fit over the gymnast's hip.